Scapa provides PeopleSoft performance testing and monitoring software solutions and services. With over 15 years in system performance testing and monitoring, Scapa is unrivaled in its experience and expertise. 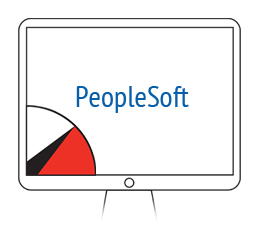 Oracle’s PeopleSoft systems are designed to address the most complex business requirements. Using Scapa TPP with your mission-critical PeopleSoft applications and environments will guarantee optimal performance and end user experience. As well as PeopleSoft applications, Scapa also covers Oracle Forms as well as many other types of application and system environment, allowing you to test a number of systems at once, over a variety of geographical locations. No programming required. Scapa automatically does all the hard work for you. Simply capture and replay user activity from your PeopleSoft application at load and Scapa TPP will automatically process and generalize the data, i.e. ensuring it is varied, to replicate real user behaviour more closely. Tests are easy to repeat, making the testing process a more straightforward activity, delivering results quickly. Scapa tools have the power, flexibility and feature list required for the most complete and accurate reliability, performance, capacity and scalability testing of a wide range of system environments, including PeopleSoft. Test the user experience of your system across geographical locations – even from mobiles. Our highly skilled consultants work worldwide, either on-site or remotely delivering our best of breed services across a wide-range of applications and environments, from off the shelf to custom applications.